As a Atlanta wedding photographer I am so blessed. It is such a honor photographing a bride and groom's big day! I get to know their friends and family. I get to capture all the moments that make up such a special day with photographs. I want to take a minute and brag for a moment. This couple was awesome!!! I am one of those lucky photographers that get the best couples! They were so much fun! They just knew how to sit back and enjoy the day. They also had some of the funniest friends. The whole bridal party were so supportive of each other and were a hoot to be around! The wedding photography started at a friends house in the North Druid Hills area of Atlanta. It was beautiful home with a beautiful gardens in the back of the house. The owners of the home were so gracious. We did the getting ready photos there. We also did the first look and group photos before the wedding. We then headed over to the Solarium one of my favorite wedding facilities. It is a historic building located in the center of downtown Decatur. The Solarium is maintained by the The Community Center of South Decatur, this organization is self-sustaining non-profit that serves the community in many ways. Each year, The Solarium hosts and partners to support many thriving community events and educational programs and provide grants to other non-profit groups in the city. 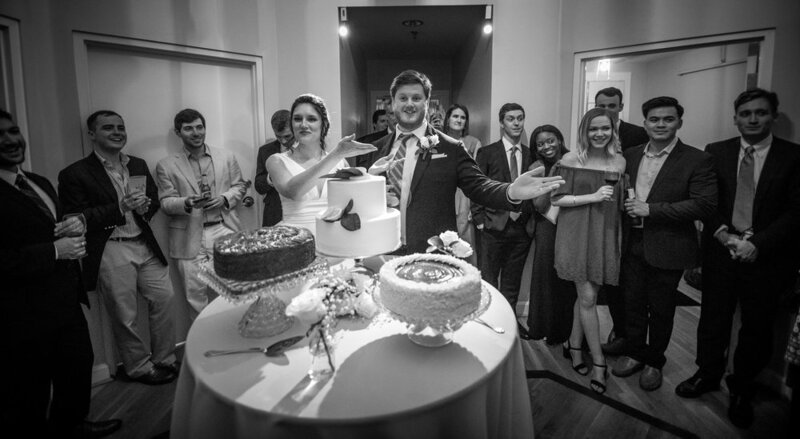 These remarkable events and outreach are financially supported by the rental of The Solarium’s event space for Weddings, Social Events and Meetings. Thank you so much for visiting! I hope you keep coming back. I would love to hear from you. Please go to the comments section and drop me a line!